Treating your acne from the outside-in with products can definitely help clear your skin, but there’s another way to think about skincare, too — and that’s from the inside-out. If you’re trying to control breakouts, these are the top six food groups you should avoid. They may cause acne! Does milk cause acne? For many years Dermatologist di not think that dairy causes acne. Recent research proves the opposite. Dairy causes spikes in growth hormones that affect sebaceous glands size and increase the risk of breakouts. If you want a dairy alternative to milk, try almond milk, rice milk, coconut milk or hemp milk. Soybeans contain phytoestrogens (They’re natural plant estrogens and mimic natural estrogen levels). Eating a lot of tofu, veggie burgers and drinking soy milk can cause acne breakouts mainly under the jawline and around the mouth. Be careful with your morning carb habit — refined white flour is pro-inflammatory and can make your acne worse. 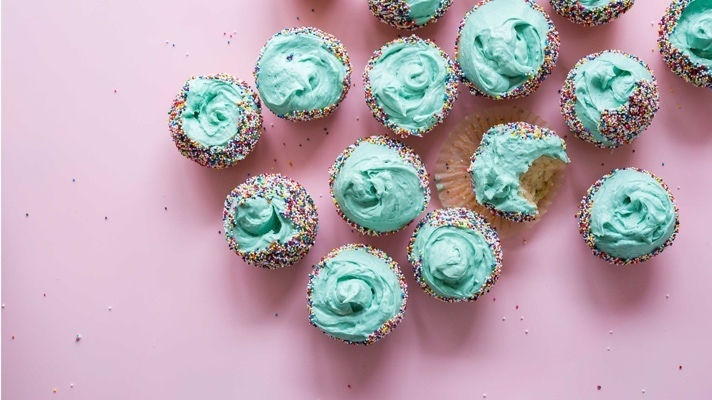 Many commercially-produced baked products also contain other acne-triggering ingredients like sugar and soybean oil. One of the lesser known cause of acne breakouts is instant noodles (Ramen meals). This type of popular fast food is based on refined carbohydrates and a lot of salt - too well-known causes of acne. 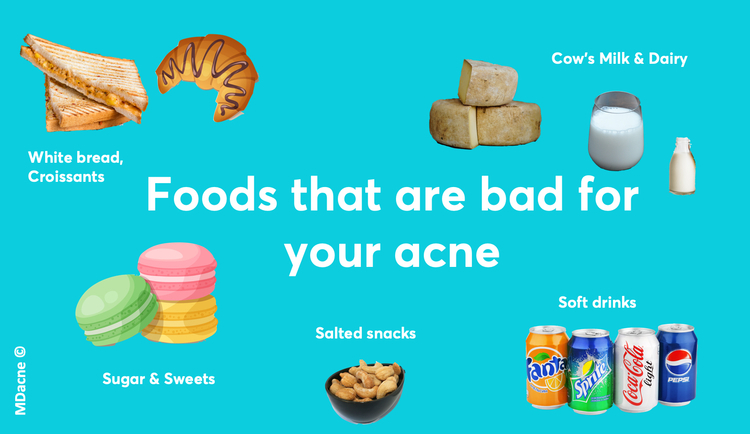 Sugar tastes sooooo good, but sugar and sweets are part of every list of foods that cause acne breakouts — and for good reason. They increase levels of insulin growth factors, which may increase the risk for acne breakouts. Try sweeteners like stevia and honey. Peanuts contain a natural androgen-like substance that can increase sebum production. This can make your skin oilier and increase the tendency to break out. Need a good peanut alternative? Try almonds and cashews — they don’t affect androgen levels. A lot of people don’t realize that coffee can cause acne breakouts. Coffee beans contain some organic acid that can raise cortisol levels. Cortisol, also known as the stress hormone, can act as an androgen, simultaneously stimulating sebaceous glands and inflammation. Switching to decaf won’t help —caffeine isn’t the trigger. It’s the beans. Switching to tea may be a better idea.